Barcelona is known for its art, architecture and history. Being the cosmopolitan capital of Spain, it is one of the richest regions. It has many thriving sectors, the most important one being the automobile sector. It provides a progressive platform for those wanting to start a career here. KnowledgeHut enables aspirants to enrol for a CSD Certification In Barcelona. CSDs are greatly in demand because of their technical knowledge and their will to constantly improve. They have the ability to assess and grasp the Scrum principles accurately. The CSD Training In Barcelona certifies you and helps you understand Agile engineering skills. This course is divided into two parts. The first part teaches participants Scrum principles and framework while the second part deals with CSD technical track training which helps understand concepts and techniques while also teaching software and development. The CSD course in Barcelona gives you five days of classroom training and a Certified Scrum Developer Certificate on completion. This Certified Scrum Developer training in Barcelona includes within its course fee; the study material, the certification and examination fee, a two-year membership with the Scrum Alliance, 100 days access to the Agile and Scrum e-learning program and access to activities. Those certified with CSM can attend only the second part of the program that is covered in the last three days with which they will earn 24 PDUs and 24 SEUs. Candidates who attend the five-day course will earn 40 PDUs and 40 SEUs. 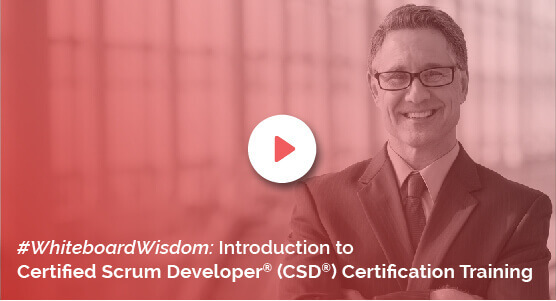 The Certified Scrum Developer certification in Barcelona is an online course that gives you a chance to train under experienced coaches so that you learn and understand the fundamentals of CSD. They teach you to practically use the principles by giving you tips and tricks to avoid rework and over design. They also encourage teamwork by supporting collaboration, pair programming, and cross-functional teams.